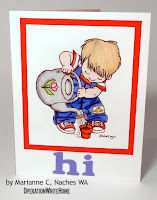 I started stamping about 15 years ago but just in the last 3 years have been doing it on a regular basis. I am blessed to have a very messy craft room but started out with just a plastic shoebox at my kitchen table. 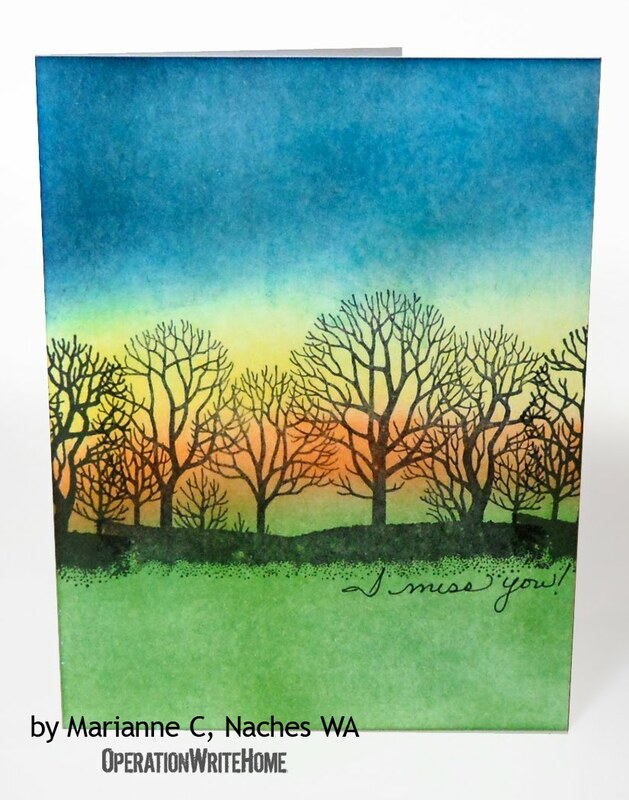 My favorite stamp product are my coloring tools, Copic, Prismacolor pencils and watercolors. I seem to collect a lot of pattern paper and ribbon so I know they must be a close second and third favorites. 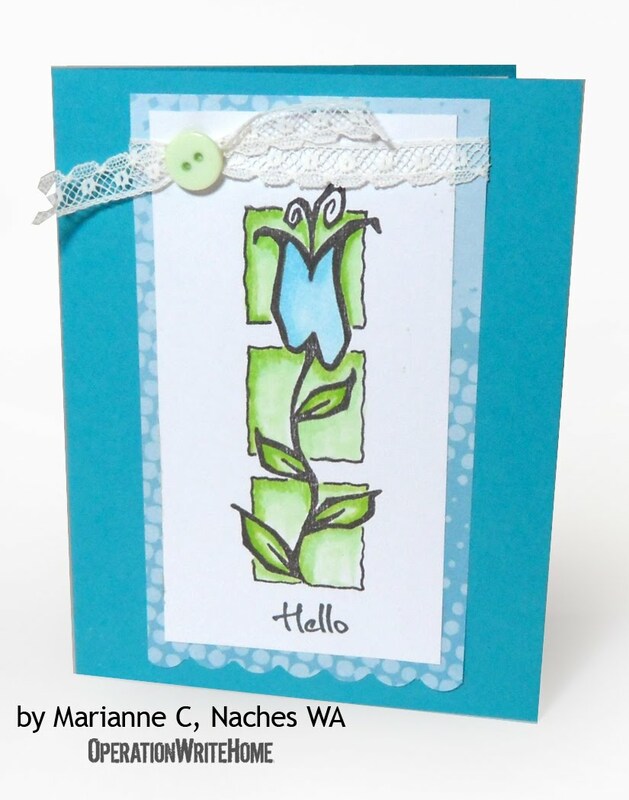 My favorite technique right now is making flowers to add to my cards. I am such a green lover it is work for me not to use green on my cards. 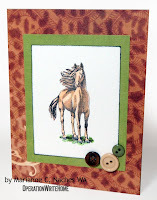 I had been praying how I could use my cardmaking in a ministry and one day I was blog hopping and saw the mention of Cards for Heroes. I knew this was the answer I was looking for. When I first started making cards for our heroes it was just to make the cards. Since then I have come to realize the number of men and women who have been a part of my life that were in the armed services. I never really comprehended what my father gave up when he was in the army until I read a book about his company's battle on Iwo Jima. Now I have a deep respect for anyone that serves this great country of ours. And if I can thank them, touch their lives or give them a small piece of myself it is worth every card and letter I send. 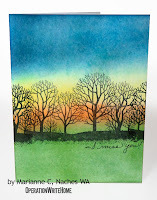 Hi Marianne, so nice to meet a fellow cardmaker :) Your cards range from whimsical to gorgeous landscape and they're all beautiful! 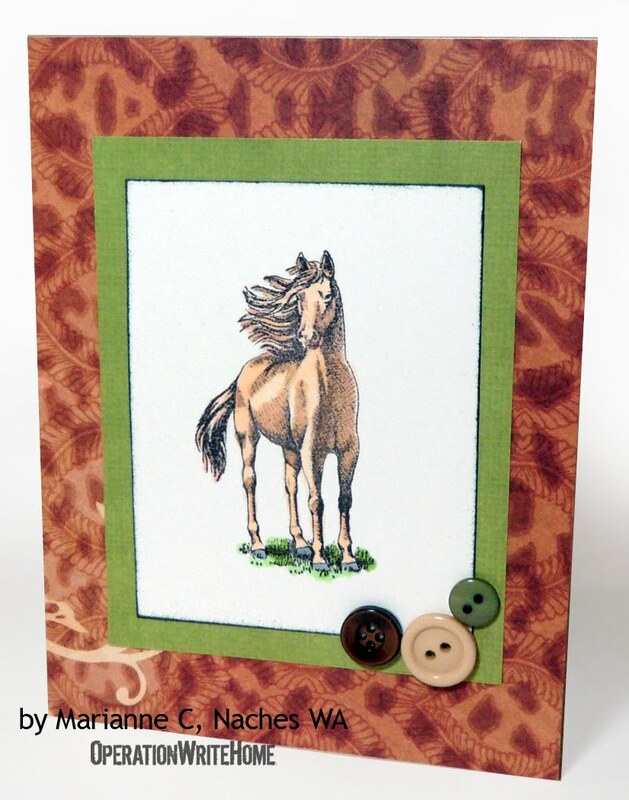 I love horses, so I'm especially fond of the last one (of course). 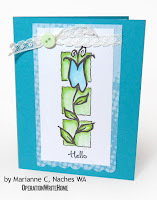 Happy stampin'! Your cards are so beautiful. I love the one of the trees. That one should be framed and hung on the wall. It's nice to meet you Marianne. 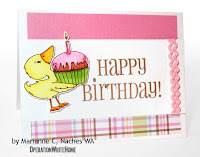 What a nice story and wonderful cards you shared! 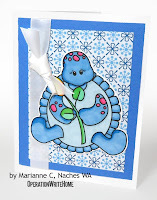 Beautiful cards Marianne. I especially like the adorable little duck carrying the cupcake! Wonderful coloring on these too. 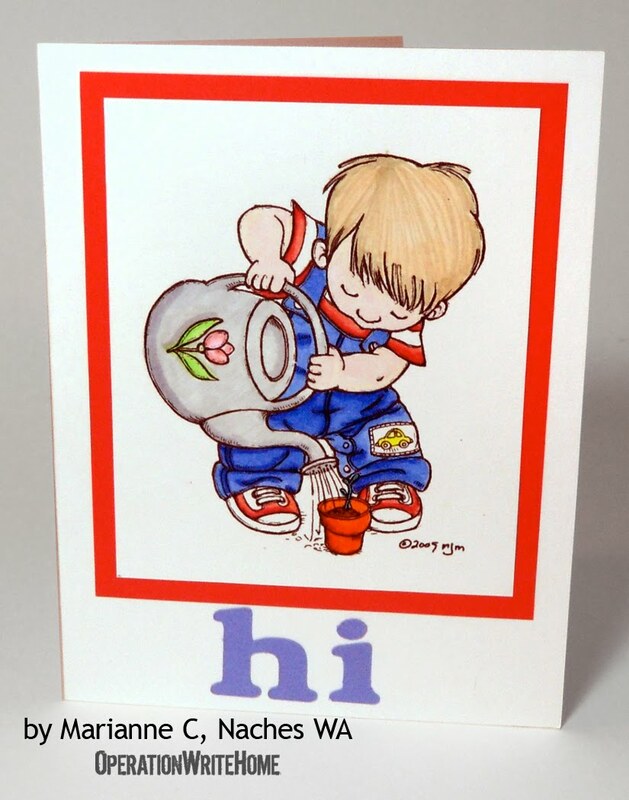 I love these posts about meeting the other card makers. Nice to meet you Marianne! Good to meet you Marianne! Your cards are inspiring and beautiful! These cards are so beautiful! Nice to meet you Marianne! Beautiful cards and a lovely story. Thanks for sharing both! 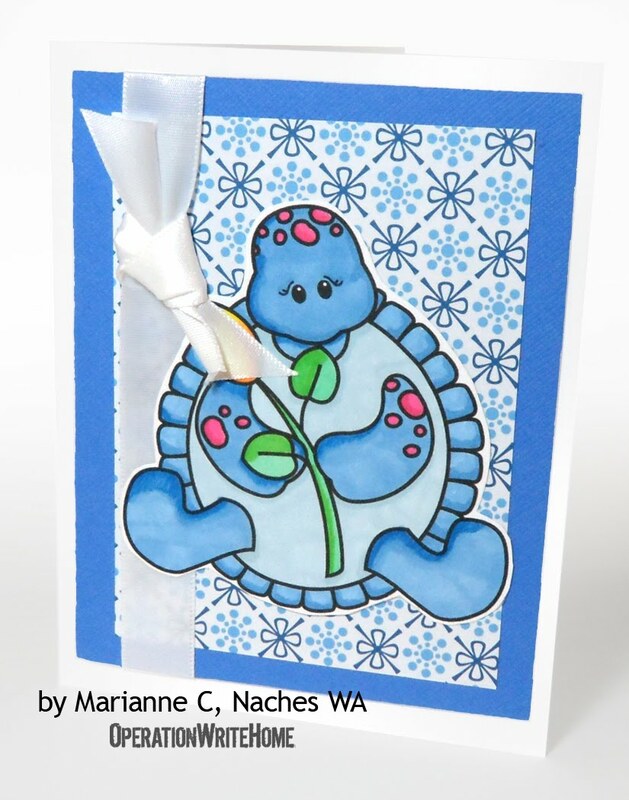 These are all beautiful cards, Marianne. The tree stamp is one of my favorites. You did a lovely job with it. 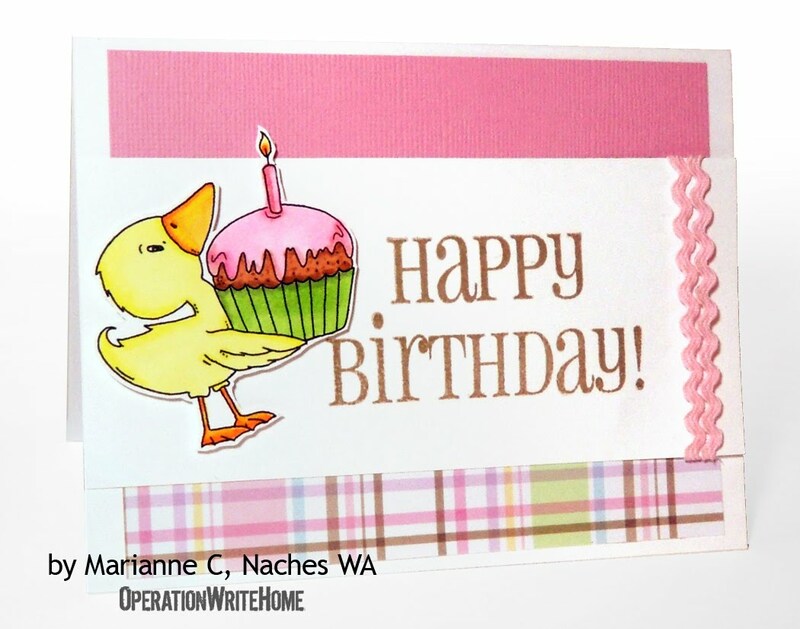 Gorgeous cards, Marianne! I LOVE the trees!